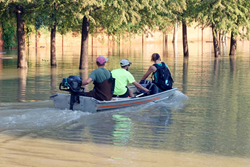 CleanRiver is proud to partner with Keep America Beautiful to help those who experienced immense loss during the hurricane season. Throughout October, CleanRiver donated 5% of product sales of their Flex E™ Bin. The donation will be used to provide relief funding for those affected by recent hurricanes in the United States. 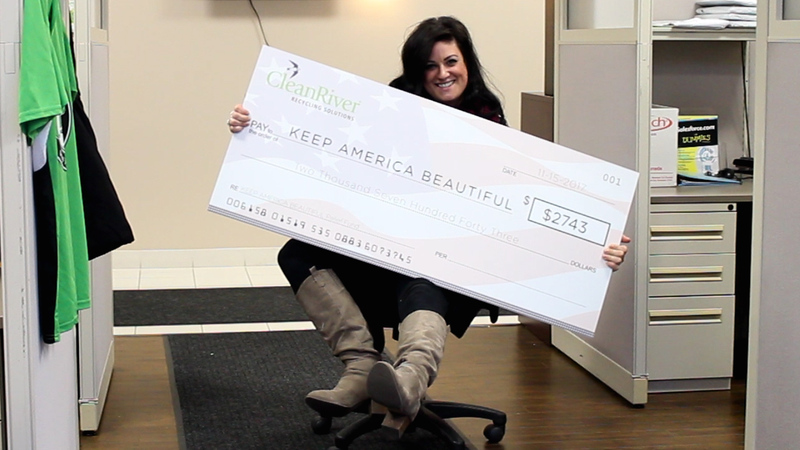 Through this promotion, which ended October 31, 2017, CleanRiver donated $2,743 to the Community Restoration and Resiliency Fund from Keep America Beautiful. The Flex E™ Bin is CleanRiver’s latest product in Transition™ technology. The Flex E™ Bin helps you sort your trash, recycling, and compost in just one bin. 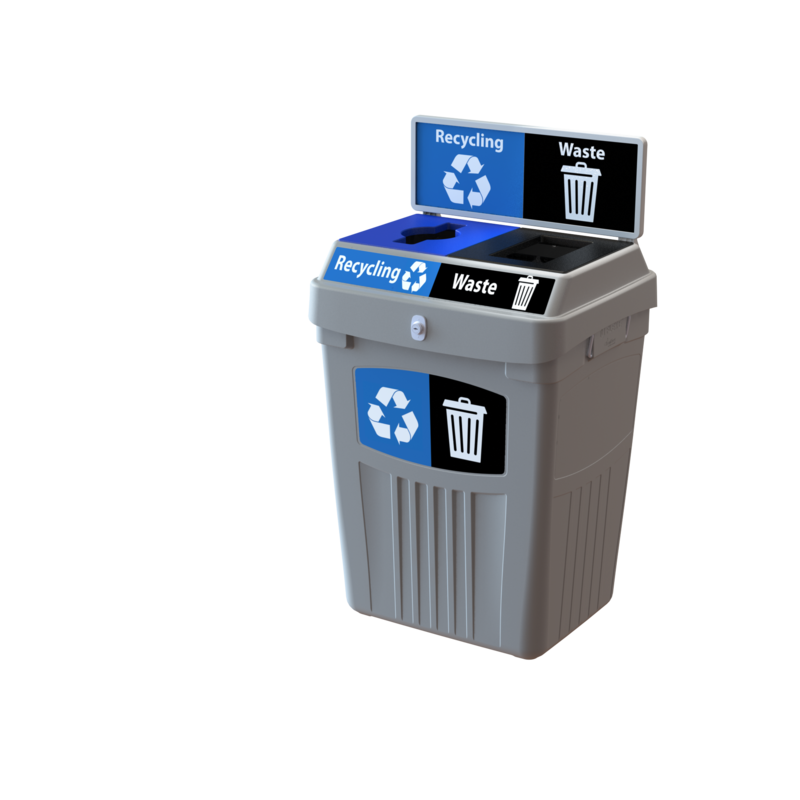 Allow the Flex E™ Bin to help with waste diversion as you adapt your recycling programs. Making small changes and taking the right steps toward more effective recycling programs is easy with the Flex E™ Bin. The bin is right for any setting, including office recycling programs or indoor and outdoor recycling. Move your community toward your zero-waste goals by making recycling and composting easy with the Flex E™ Bin, which changes as your needs change. The flexibility of this style bin means less confusion and more customization to your needs. CleanRiver’s passion is creating less waste. Effective recycling bins are CleanRiver’s purpose. The partnership between CleanRiver and Keep America Beautiful gave institutions an exciting reason to invest in their recycling programs, according to CleanRiver’s CEO Bruce Buchan. “Not only am I extremely pleased that we have raised almost $3,000 in relief funds for the victims of the recent hurricanes,” Buchan explains, “but we have increased awareness of the importance of implementing recycling programs.” Buchan hopes that with every Flex E™ Bin purchased, organizations are reducing their carbon footprint and environmental impact. CleanRiver is as committed to advocating for victims of environmental disasters as the company is dedicated to zero-waste recycling programs. With the growth of sustainable practices like recycling, CleanRiver is ready to lead the way with waste diversion products like the Flex E™ Bin. CleanRiver can help you steer your industry into sustainable waste reduction. Find out what product works best for you today. About CleanRiver Recycling Solutions: CleanRiver has moved beyond the familiar “reduce, reuse, recycle” to shift towards a more environmentally sustainable approach called the 3C’s of recycling: culture, communication, collection. In hopes of achieving zero-waste goals, CleanRiver offers sustainable solutions to support any type of recycling program.